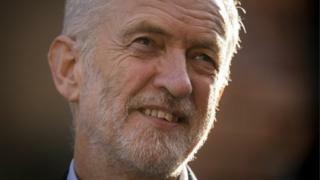 Brexit: What does Labour's announcement on a second vote mean? Campaigners and MPs who have been pushing hard for another go at the EU referendum might be popping corks tonight, you may think. It's certainly significant in Labour circles, and satisfying to those who have been cajoling, urging, demanding that the leadership pay more attention to the many members of the party who want another referendum and make a concrete promise. If you are one of those people who'd love a chance to stop Brexit via another referendum, beware. Your celebratory drink tonight might go flat rather fast. Because, while this move counts politically, of course, the move does not mean that there will be another referendum. Labour, since its conference, has had the option on the table to push for another vote if other things don't happen. Their position was to campaign for a referendum if they couldn't force a general election - that didn't happen. Their position now is that if they can't get Labour's version of Brexit through the Commons next week, they'll move to a promise of another say for all of us at a future date. That will ease the irritation of many Labour MPs who have for a long time, hoped that Jeremy Corbyn would be a bit more enthusiastic about having another go. For those like Keir Starmer who have tried to push him in that direction, this is in a way a victory. But hold on, it really doesn't mean it's about to happen. The Labour leadership has moved to this position believing that, as things stand, a plan to hold another referendum would not get the votes it needs in Parliament. Right now, they reckon it's a promise they can make, but will probably never have to keep. But if, as this political moment implies, there is a total meltdown, the prime minister's deal falls and chaos beckons, the move tonight keeps Labour's options firmly open, and has a better shout at keeping anxious Labour Europhiles happy. In such volatile times it is, of course, not impossible that a majority for another vote could emerge. But there is already some angst over the move. It is not entirely clear what this theoretical referendum would decide. Expect therefore lots of tricky questions, over the question itself. And it's awkward for the many Labour MPs, including some in the shadow cabinet, who believe that holding another vote would be a mistake. Nothing for any of our political parties is easy when it comes to Brexit. The opposition, just like the government, is trying to keep a lot of different balls in the air.